Reigning MotoGP World Champion Marc Marquez ends on top on day two of the #ThaiTest. 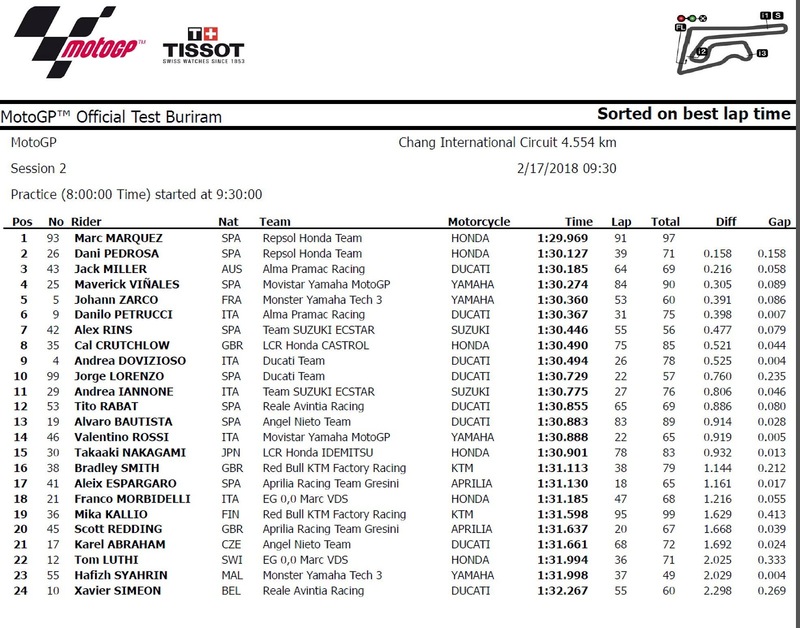 Marc Marquez (Repsol Honda Team) celebrated his 25th birthday in style at the #ThaiTest, leaving it late to set the first ever sub-1:30 laptime of Buriram quite a way through a mammoth 90+ lap workload. Teammate Dani Pedrosa, who ended the day second fastest and a tenth and a half down after having led for the majority of the latter stages of the session. Jack Miller was third (Alma Pramac Racing), who was 0.058 off Pedrosa as he continues his run of top performance in 2018. Cal Crutchlow was the third quickest Honda and was eighth, but quicker than his Friday lap. The Brit concentrated on test duty rather than a time attack. 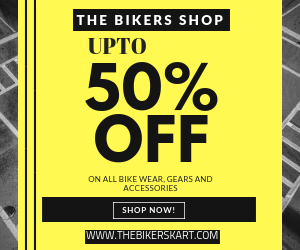 Fourth and fifth were locked out by Yamaha – on Saturday, Maverick Viñales (Movistar Yamaha MotoGP) led Johann Zarco (Monster Yamaha Tech 3) after Valentino Rossi (Movistar Yamaha MotoGP) had been the quicker rider on Friday. Viñales’ best was a 1:30.274, with Zarco just 0.086 behind. 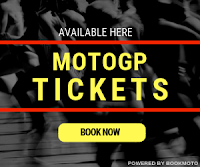 Both Rins and teammate Andrea Iannone(Suzuki Ecstar), who ended the day in eleventh but only three tenths back on Rins, tried the updates – both have crashed with consequences. Ducati Factory riders, Dovizioso and Lorenzo both finished 9th and 10th respectively. Debutant Hafiz Syahrin, was impressive once again on Saturday. The Malaysian rider was only 0.004 seconds off fellow rookie Lüthi, and was ahead of Simeon by the end of action. Syahrin was 2.029s off the pace, and eclipsed Avintia Ducati rider Xavier Simeon to avoid finishing at the bottom of the pile for a second day in a row.